A harrowing (but sometimes humorous), moving story of how people are battered down by bureaucratic stupidity when dealing with people they are supposed to help. The acting is superb and natural. 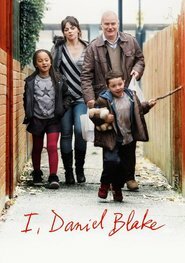 Dave Johns (Daniel Blake) is just right for this role and Haley Squires (Katie) gives a genuine, achingly good performance as a single mother desperate to survive and care for her daughter. Watch out for a heart-rending food bank scene. If you know anything about government services for the unemployed, you will watch this with a deep sense of recognition. It’s a simple, but very powerful movie.